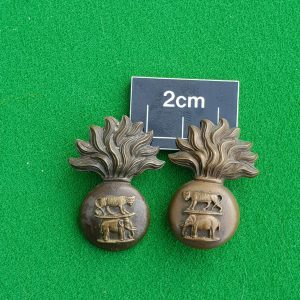 This badge has all the appearance of a World War One (or earlier) other ranks cap badge. However, the whole piece is either bronze or bronzed. 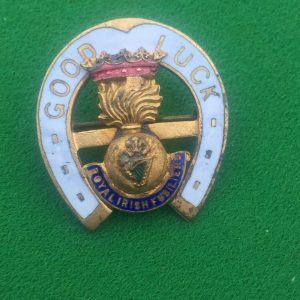 Most likely this may well be a war time issue to a Royal Irish Rifles officer. See description and images for more interesting and insightful details. This is a die struck R.Ir.R. cap badge. It has all the correct indicators of an early and original badge. The best dating evedence on the badge is the way the slider is applied to the back of the badge. The slider bends back along the inner side of the badge reverse. Please look at the photos to see this. This method of securing the slider is found on earlier badges. 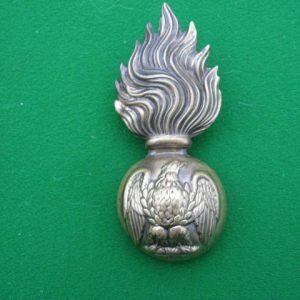 My guess is that it is an officer’s badge, made for use on a service dress cap. The slider is also bronzed, but it would have originally been brass. This badge is in excellent condition. A fascinating badge and a great talking piece,worthy of further investigation.